Two new grants will be available to first home buyers nationwide. The grants were designed to assist home buyers in the mortgage process and also help stabilize the housing market. Get into the home you deserve with RANLife Home Grants. We wanted to ensure down payment and closing cost assistance was available for everyone. RANLife Home Loans, a leading nationwide mortgage lender, is pleased to announce that they will be offering multiple home grants to first time home buyers nationwide hoping to foster some relief and provide financial assistance to those striving to become homeowners. The two available RANLife grants, The Community Stabilization Grant (CSG) and The Home Rental Credit (HRC) Grant, are designed to assist first time home buyers with closing costs and others fees involved in the home buying process. In conjunction to the two grants, RANLife has created a specialized grant department that researches any available local municipal or government grants. The grant department specialists handle all of the applications from start to finish with each of these grant programs to make the process stress free for clients. RANLife’s grant department began in 2011 after recognizing a need for more grant assistance for client’s in all states where they do business. “We wanted to ensure down payment and closing cost assistance was available for everyone,” said Tyler Knowles, RANLife’s Grant Department Supervisor. Most government grants are state, county, or city specific and often run out of funds early in the year. 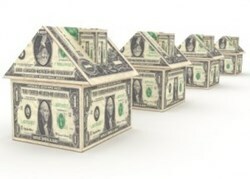 The two home buyer grants can be used separately or combined in a single transaction. Unlike other forms of government assistance that come with various stipulations such as having to repay the grant when the buyer sells the home, the CSG and HRC are true grants that require no form of repayment. Though RANLife designed the grants to support first time home buyers it was also designed to help the economy while stabilizing the housing market. “If we don't have buyers we don’t have business, and our economy suffers because of it,” stated Knowles. Nathaniel Williams was a recent recipient of both the CSG and HRC grants. The combination of the two grants paid for a substantial portion of his closing costs and helped him get into the home of his dreams. RANLife plans to continue funding the grant program, though funds are still limited and reviewed yearly. To find out more information on RANLife’s first time home buyer grants or other grant programs available, please click here. At RANLife Home Loans our experienced mortgage professionals view a refinance, or purchase of a home loan, as more than just a onetime transaction. We believe it is a start of a long term relationship that can save the homeowner thousands of dollars over the life of their loan. To find out more information, please visit them athttp://www.ranlife.com. Also follow them on the RANLife blog and other social media. NMLS #3151.